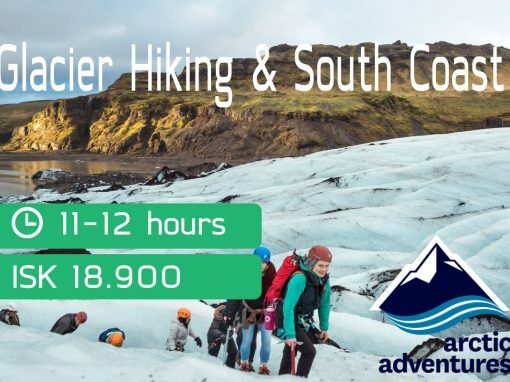 Join us for a memorable journey along the south coast visiting all the major sites of the area and hiking on a glacier. 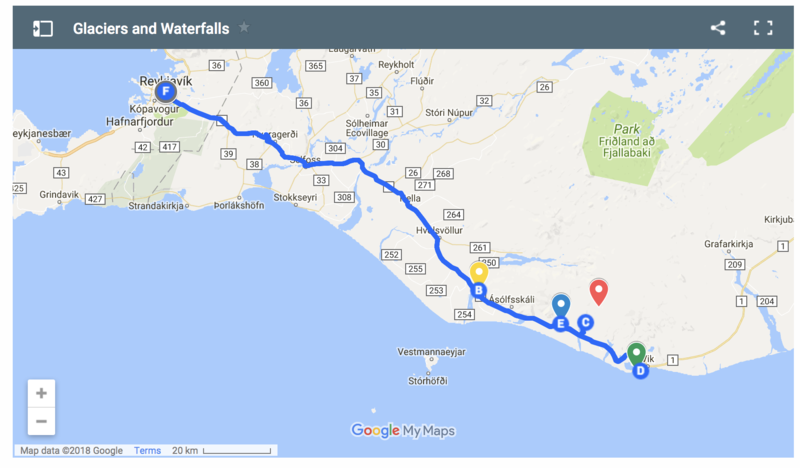 Our first stop of the day is at Seljalandsfoss waterfall one of Iceland’s greatest attractions. 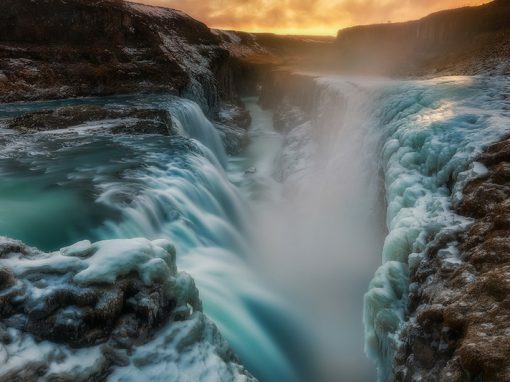 Here you have the opportunity to walk behind the magnificent wall of water and feel the power generated by the fall. 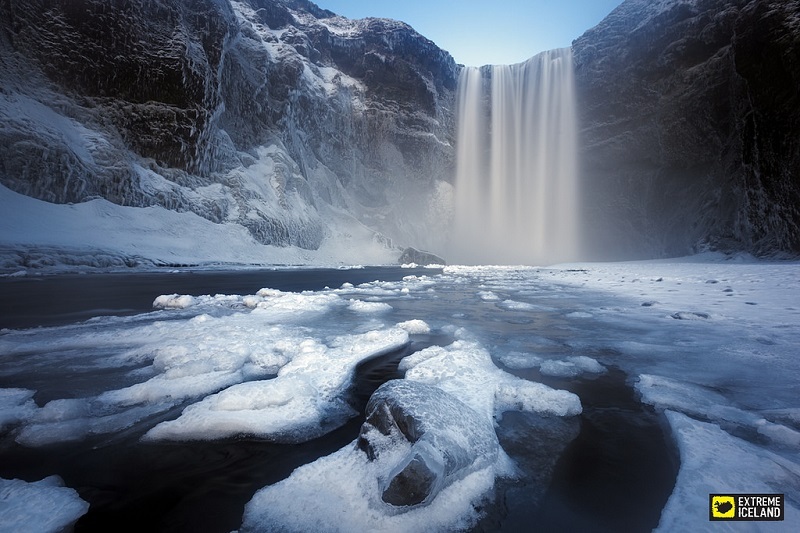 Seljalandsfoss is an excellent place for a memorable photo shoot. 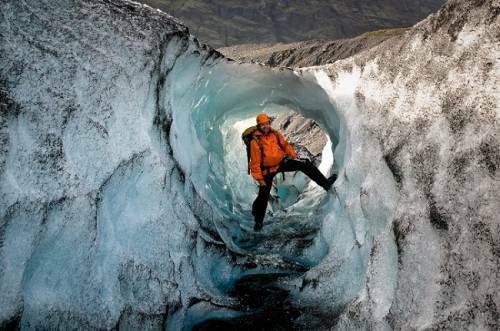 Next step on our journey is a giant step for those that have never set foot on a glacier. 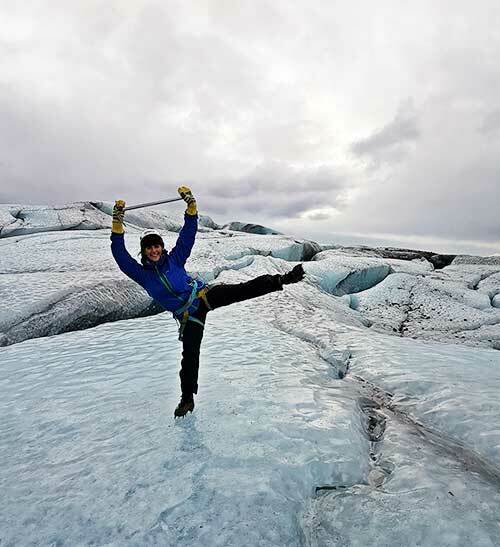 Hear the ancient ice crack as you safely enjoy your hike on the glacier tongue with our certified glacier guide. 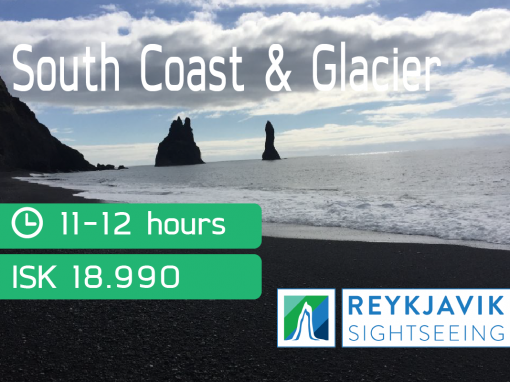 After the thrill of the glacier, we head for Reynisfjara where you can leisurely stroll along the black sand beach known for its famous basalt columns and caverns. 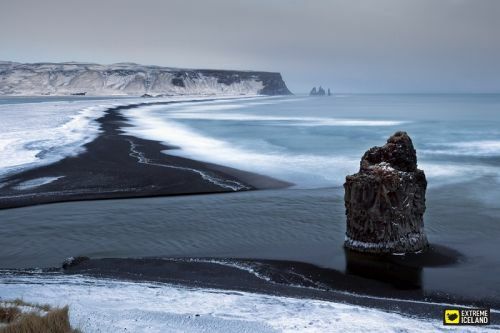 Witness the Reynisdrangar cliffs and basalt rock stacks that rise from the sea which Icelandic legends say are mischievous trolls turned into rock by the rising sun. 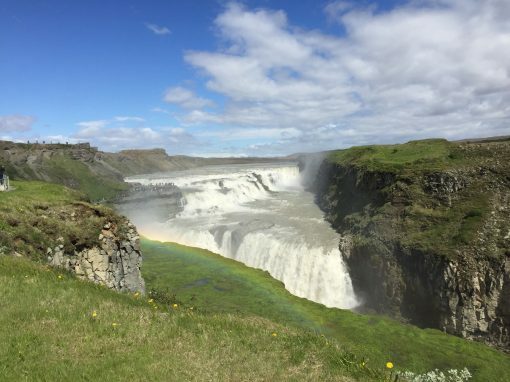 We end this great day tour with a stop at the majestic Skógafoss waterfall. Here you can walk right up to the 60-meter high thundering waterfall and feel the spray on your face. 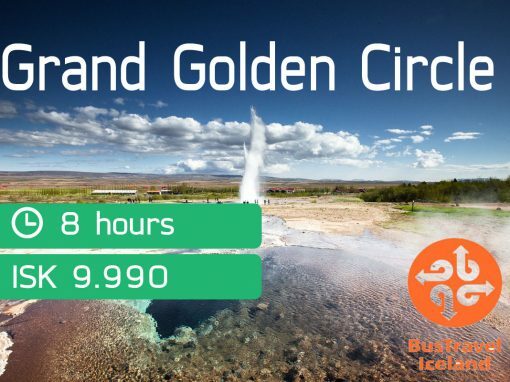 You can even walk up the 527 steps to gain a bird’s eye view of the cascading water and rainbows. Bring with you: Warm clothes, sturdy shoes, a raincoat. Don’t worry, you can always rent sturdy hiking shoes, waterproof jacket and pants in the booking process or on location. Booking these items in advance is recommended. 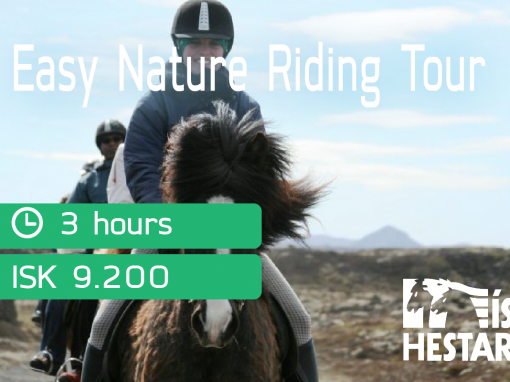 This tour has a small group guarantee, meaning that the tour is always operated in a minibus giving you a more personal experience. 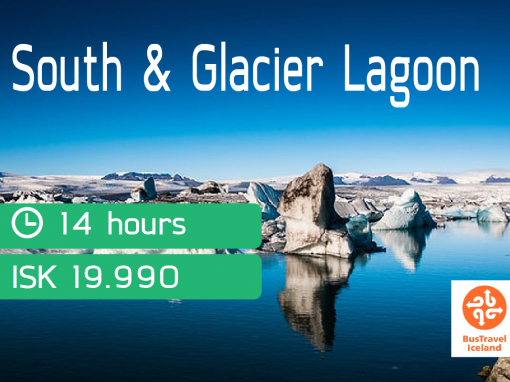 Arctic Adventures reserves the right to alter the itinerary if the weather is too bad to go on the glacier walk. 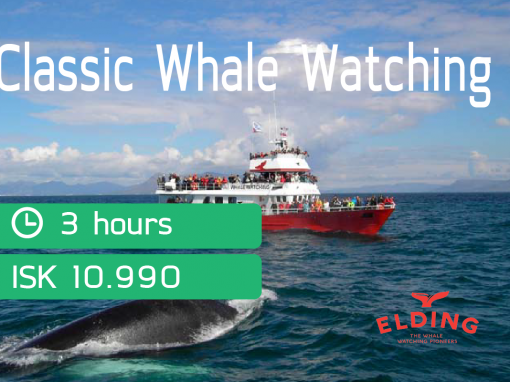 If this cancellation occurs a visit to a local museum is added and a part refund given for missing the glacier hike. 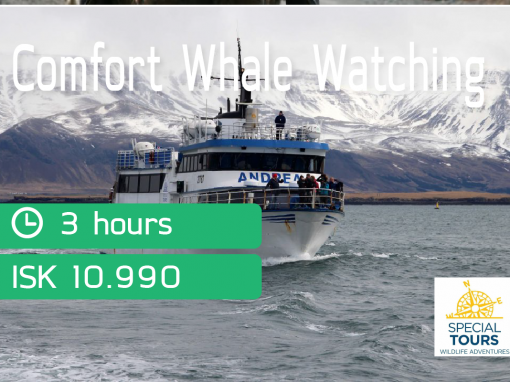 All our tours are undertaken on the responsibility of its participants. 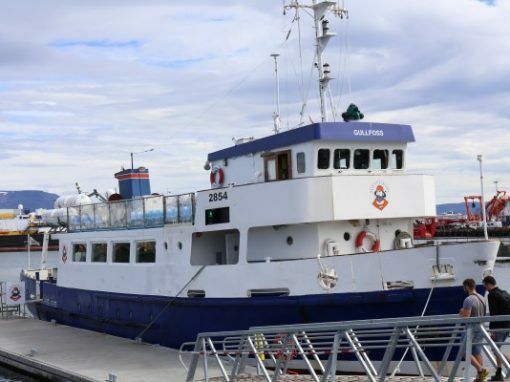 Arctic Adventures does not assume any responsibility for accidents that are caused by its customers or can be traced to their own actions. 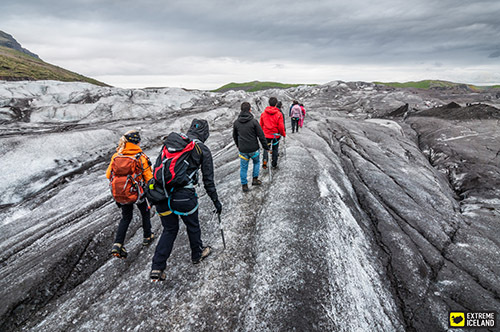 Participants have to sign a waiver before undertaking all trips stating that they realize that all outdoor activities carry an inherent risk.